Since 1993, the Seamaster Diver 300M has enjoyed a legendary following. 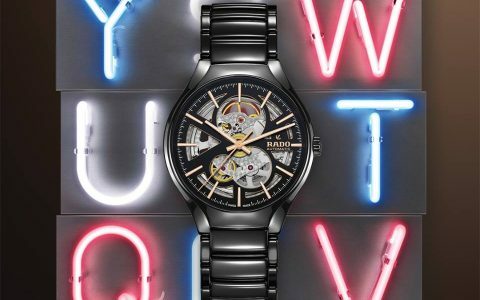 This 42 mm model is a Limited Edition of 2,500 pieces and features a brushed case made from grade 2 titanium, with a crown, bezel ring and helium escape valve in 18K Sedna™ gold. 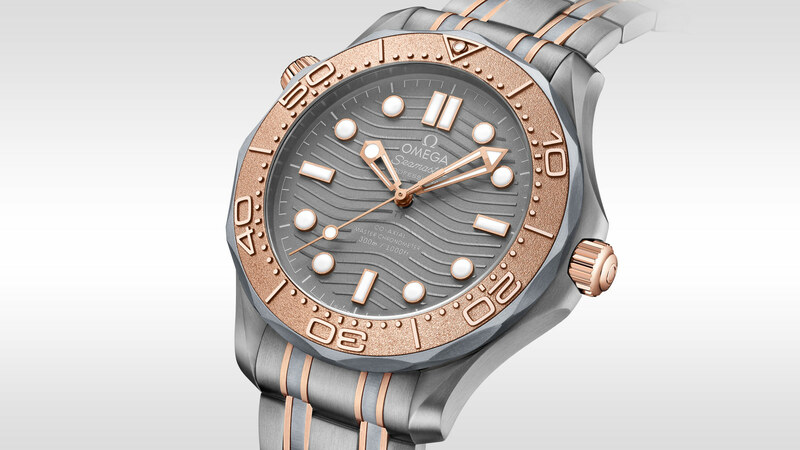 In contrast, OMEGA has used tantalum to create the base of the bezel for a distinctive blue-grey tone. 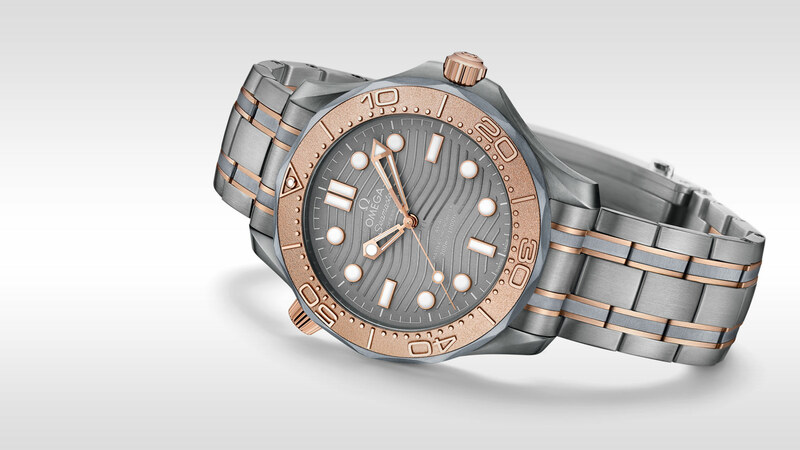 The titanium dial features positive sun-brushed waves. The skeleton hands and raised indexes are 18K Sedna™ gold and are filled with white Super-LumiNova. 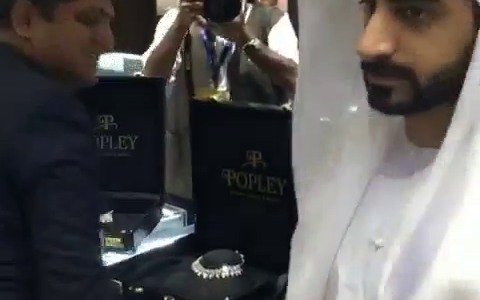 The watch is presented on a grade 2 titanium bracelet with tantalum and 18K Sedna™ gold links. 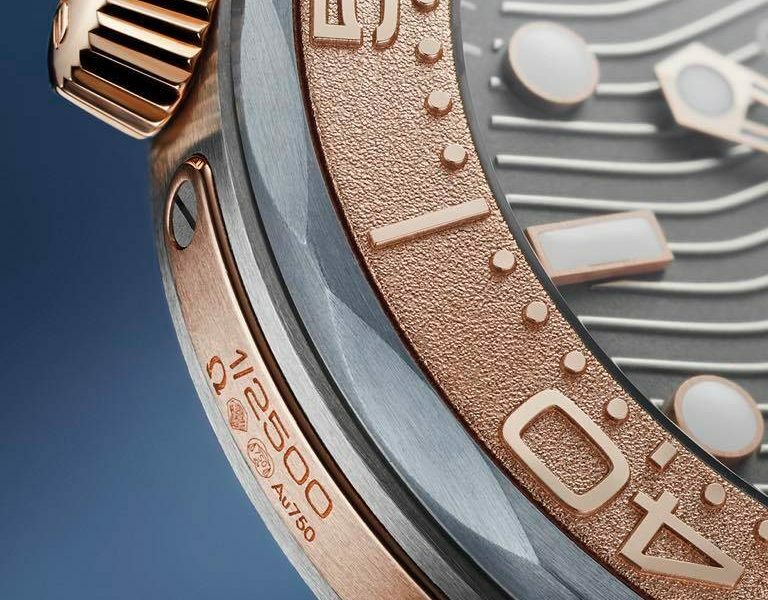 An image of the OMEGA Seahorse can be found on the transparent caseback, through which you can see the OMEGA Master Chronometer Calibre 8806 inside.